As most of the northern hemisphere now enters the coldest phase of the year with snow, ice and gloomy weather, the state of Goa in India enjoys sunshine and mild temperatures. Goa is one of India’s most popular regions for visits and its numerous attractions, architecture, food and its legendary beaches are the reasons for its popularity. Traveling to Goa is now easier than ever with the ability to apply online for your Indian visa. Take a break from the cold northern hemisphere weather and head to sunny Goa! Goa’s fascinating history is part of its attraction. As a Portuguese colony for over four centuries until being taken by back by an independent India in 1961, Goa contains magnificent Portuguese colonial architecture throughout the state. With a sizeable Christian population there are many wonderful historical churches throughout the state. 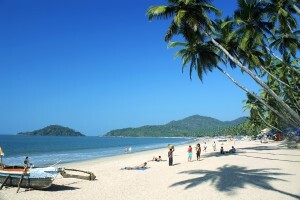 And for many visitors the main highlight of a visit to Goa are its famous beaches. Some of its most famous beaches include Baga Beach, Miramar Beach and Calangute Beach. 1. 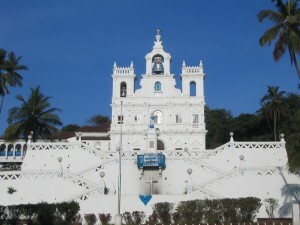 Historical sites – Goa’s premier attractions are its UNESCO World Heritage Sites of Bom Jesus Basilica and the churches and convents of Old Goa. The Bom Jesus Basilica was consecrated in 1605 and contains the body of St. Francis Xavier, a close of friend of St. Ignatius of Loyola. Other old churches that are attractions include the Church of St. Francis of Assisi and the Church of Saint Cajetao. 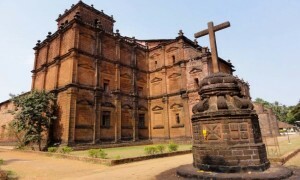 Visiting these historical churches is a top attraction of Goa and is strongly recommended. 2. Panaji – The capital of the State of Goa offers numerous attractions that are highly recommended. These include the Baroque Our Lady of the Immaculate Conception Church built in 1541 and the Institute Menezes Braganza built in 1871. Panaji maintains a Portuguese colonial atmosphere with colorful villas and cobblestone streets. 3. 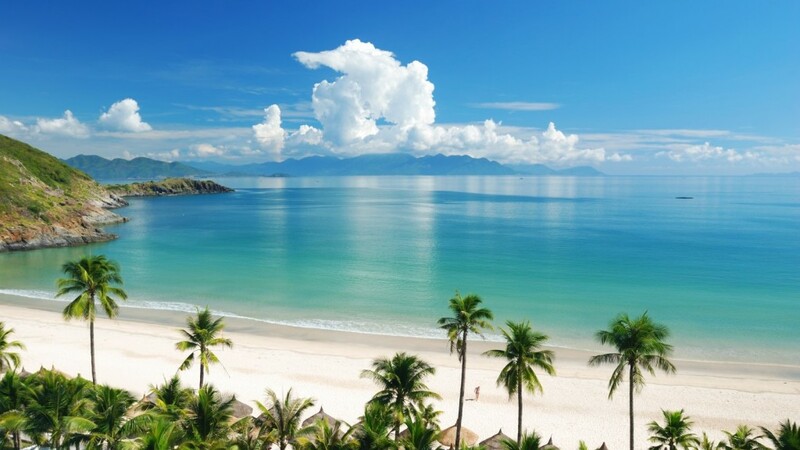 Beaches – Goa is renowned for its top class beaches and its beach atmosphere. Some of the most popular beaches are Agonda Beach, Palolem Beach, Cavelossim Beach, Candolim Beach, Calangute Beach, Baga Beach. Each beach offers a different ambiance so it’s important to understand the type of beach you will encounter when you book your hotel. 4. Portuguese Forts – The Portuguese left behind stunning architecture and this includes the forts that were built to protect their old colony from outsiders. 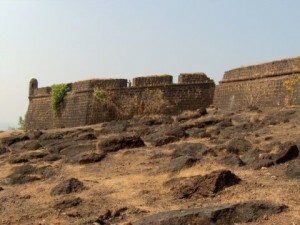 Some of the most beautiful forts include Chapora Fort in Chapora, Reis Magos Fort in Panaji and Fort Aguada in Sinquerim. Goa is a wonderful destination with its laid back atmosphere, beautiful Portuguese colonial architecture, diverse history and warm locals. With an average daily temperature of 26 degrees during the winter months and almost zero precipitation it is a winter paradise. If you want to get away from the northern hemisphere’s grey and cold winters fill out your Indian visa application online and take a dream trip to one of India’s most beautiful areas. It is a trip you will always remember and will almost certainly will want to return to every winter!